There is a human tendency of settling for less, and wanting to remain in one’s comfort zone. This was me. When I started writing, I was happy to just pay my monthly expenses. For some reason, I was afraid to venture out into unknown territories. Worse still, I felt like I did not deserve better opportunities because others were better than I was. But, I finally managed to get rid of my fears, and started approaching higher-paying markets. Many writers struggle with similar kinds of fear but the secret lies in valuing your work, and looking for other people who will, too. 7 magazines below will pay $400+ for your work. MotorHome Magazine is dedicated to covering the RV lifestyle. They are interested in DIY projects, interesting events and activities, motorhomes on the market, and anything else that reflects this particular lifestyle, and could potentially make a great read. They pay $400-$900 for articles on major travel, DIYs, technical matters, personality and getaway items. Word counts varies depending on the type of article accepted. MotorHome’s writer’s guidelines are HERE. Since 1911, Boy’s Life has been published by the Boy Scouts of America, and focuses on matters of general interest, such as American history and sports. The target audience is boys aged 6 and 17 years. The pay is $500 to $1500 for non-fiction articles. Their writer’s guidelines can be found RIGHT HERE. This magazine runs quarterly, and considers non-fiction articles on various subjects such as history, public affairs, culture, and science. Pay is $500 for accepted pieces and word count should not exceed 6000 words for non-fiction articles. CLICK HERE for their writer’s guidelines. The magazine focuses on modern issues, and aims to support Catholics through different stages of life. They welcome authoritative articles centered on topics regarding parenting, marriage, relationships, spirituality, prayer, and Catholic identity. Features run around 1500 words. The pay is around $500. CLICK HERE for their writer’s guidelines. The American Airlines magazine publishes pieces focused on entertainment, culture, travel and cuisine. The reported pay is $1 per word while the word count varies. You can CONTACT THEM to request their guidelines. This magazine focuses on harness racing, and is always looking for fresh ideas and new stories. Seventy percent of the work the magazine features is written by freelance writers. Payment is up to $500, and made upon publication. The word count depends on the accepted article. CONTACT THE EDITOR, Kim French, for their guidelines. AFAR aims to enhance travel experiences for a wide range of travelers by inspiring them to connect with people, and immerse themselves in culture. The majority of their readers are professionals who seek to make their travel adventures more meaningful. The digital editors of the magazine welcome pitches for their inspiration content channel. They look for new ideas and travel destinations that they have not covered too much in the past. Digital rates vary while $1 is paid per word for print. Their writer’s guidelines are RIGHT HERE. I hope this article inspires you to widen your scope, and expose yourself to higher-paying writing opportunities. 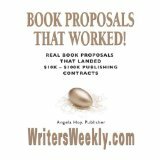 Find hundreds more paying markets for writers RIGHT HERE!